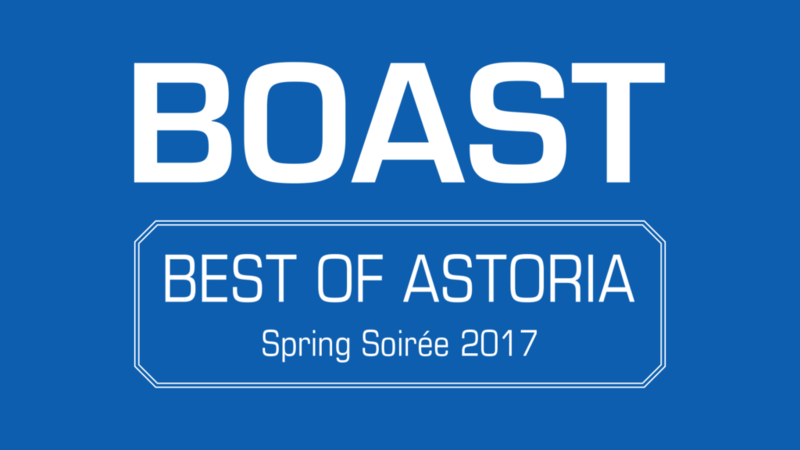 By popular demand, we are happy to bring you BOAST: Best of Astoria’s Spring Soirée, happening on Sunday, March 26, 7:30–10:30pm! We’re stoked that the location, Sek’end Sun, is a multiple BOAST winner (Best Bar for Atmosphere, Best Bar for Trivia Night, Best Happy Hour and Best Date Spot). We’ll provide light snacks, along with the live music until 8pm. Enjoy Happy Hour drink prices through the entire event ($2 off draft beer, wine, and well liquor drinks). Following the live music, we’ll have a more structured segment for getting to know people you don’t already know. Then we’ll have time at the end to chill and hang out with new and old friends. It will be $12 in advance, and $15 at the door. You can get tickets with this link. And you can RSVP on Facebook with this link.